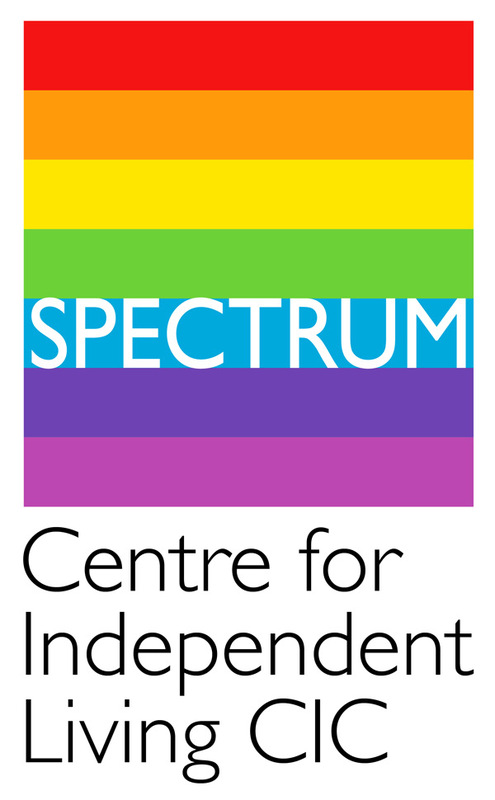 SPECTRUM Centre for Independent Living is launching a campaign to raise awareness of the real impact of the cuts in Hampshire and to try to influence a more realistic tone to the political and media debates. Most importantly, we want to secure a commitment from local MPs to consider a full or partial reversal of the cuts as soon as economic circumstances allow. The campaign project will aim to work in collaboration with SPECTRUM members, User Lead Organisations and community partners throughout Hampshire and beyond. It will work with the media to provide regular updates and present evidence via Facebook, Twitter and SPECTRUM’s website. A key objective of the project will be to engage with local politicians to inform them of the real impact of the changes and cuts at a grassroots level. We know that cuts to benefits and care and support are having a detrimental impact on the lives of Disabled People and other groups affected. But, public awareness of the scale of the problem and what it really means for people’s day-to-day lives is fairly low. There is also an added problem that what media debate there is has often been distorted by an unhelpful and misleading presentation of deserving vs undeserving benefit claims. Too often this portrays disabled people as ‘scroungers’ – which is both completely innacurate and grossly unfair. We need to gather together the evidence to support this campaign – and this is where YOU can help. We are seeking as many Disabled People in Hampshire as possible to fill in a structured diary for a short period (4 weeks or so) to detail the day to day impact of cuts they are experiencing. This includes both welfare benefits; Disability Living Allowance (DLA), Personal Independence Payment (PIP), Housing Benefit, Job Seeker’s Allowance (JSA), etc. as well as cuts to social care including the Independent Living Fund (ILF), and the impact of changes to charging for social care. It should take no more than 5 minutes per day to complete the diary, and this can be done in either paper or electronic form. All participants will receive a £20 gift voucher for their involvement. The success of this campaign depends completely on Disabled People in Hampshire taking part. Together we can make a real difference. If you are willing to help the campaign by filling in a diary – or if you can help with distributing requests to take part via membership of your own organisation – please do get in touch. We will keep you updated about the progress of the project via our website, newsletter and social media outlets. SCIL is bitterly disappointed that the government has announced its intention to close the Independent Living Fund (ILF) in April 2015. The government plans to transfer ILF funding to local authorities. SCIL as well as many other User Lead Organisations, have campaigned over the past two years for the ILF to continue. The ILF provides vital funding to many Disabled People with high support needs to enable them to live independently. SCIL is concerned that by transferring the funding directly to local authorities, it will put an impossible burden on a care and support system that is already struggling and in need of major reform. Disabled People have raised many significant concerns with the government but to no avail. Despite the government proclaiming that the transition will run smoothly, many Disabled People will now face two more years of anxiety and stress while they wait to understand the full repercussions of this short-sited decision. SCIL will attempt to ensure that ILF users in Southampton are kept fully informed during the transition process. Robert Droy, SCIL Independent Living Team Leader sits on the ILF user advisory group and will continue to fight for ILF users’ right to live independently, despite the changes. You can read the government response to the ILF conversation here. This post is written by Gerry Zarb, SCIL’s Policy and Information Officer. Do turkeys vote for Christmas? Even if we made our polling stations more poultry friendly I doubt that they would. I have always suspected this to be an urban (or should that be rural) myth. Amazingly though there are disabled people who’d vote for cuts to disability benefits and even for cuts to social care. In his blog for Community Care On-line Simon Stevens Blog, ‘Anti-cuts groups risk undermining social model of disability’ – Adult Care Blog claims that cuts are not only acceptable and necessary but that it is in fact disabled people’s ‘responsibility’ to accept them. But wait, he doesn’t even stop there because, according to Simon, by baulking at the idea of giving up benefits and support that they need, disabled people are reverting back “to a medical model concept of disability, where people with impairments are victims who are portrayed as unemployable and naturally inferior”. This really is a novel idea and I suppose he scores points for ‘imaginative thinking’ at least. But, frankly, it is nonsense – and dangerous nonsense at that! 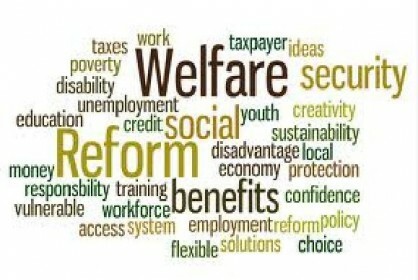 Simon Steven’s argument is that the welfare state was originally developed on the premise that there would always be a proportion of the population who were unable to make any active contribution to society, but that society has now changed to the point “where everyone can make some sort of meaningful contribution”. Even the briefest examination of the unemployment data – especially for disabled people aged over 50 – shows just how wide of the mark this is. According to the latest official statistics from the Labour Force Survey, the number of unemployed disabled people went up between September 2010 and September 2012, from 392,000 to 434,000. That is an increase of nearly 15 per cent. Yes, that’s going to make it a while lot easier to find a job isn’t it?! And, telecare in place of shopping visits? Are there even any councils left that still class shopping as an eligible need? If there are, you could probably count them on the fingers of one hand. As the latest ‘State of Health Care and Adult Social Care’ report from the Care Quality Commission confirms, local authorities are tightening their eligibility criteria, meaning that less people get any support even though they still need it. “For 2012/13, 83% of councils have set their threshold for eligibility for state-funded care at ‘substantial’. This compares with 78% in 2011/12 and 70% in 2008/09”. So, no, the real disservice to the social model is to suggest that disabled people are somehow inflicting dependency on themselves. No one is arguing that we have a problem with public finances. But the negative impact this has on disabled people surely makes it more important than ever to try to defend our rights to participation and inclusion. People who are left poor through having no income, or isolated through having no support, are being excluded, pure and simple. Over the last few years, thousands of Disabled People have used their Direct Payments / Personal Budgets to employ their own Personal Assistants. This has given them choice and control over how they receive the support they require, and by whom. However with that choice and control has also come responsibilities. Most Disabled People we come into contact with want to be good employers. They want to treat their staff fairly, they want to keep good employment records and they want to act legally but in this ever changing world of employment rights and legislation, it is often hard to keep up to date with best practice in this area. How to safely recruit Personal Assistants? How to manage staff on a day to day basis? What to do if there are performance issues with staff? How can I get further support to be a good employer? These sessions will be lively, fun and everyone who attends will receive a FREE handbook full of advice and tips to help them be a good boss. It will also give you a chance to meet other Disabled People who employ Personal Assistants too. These sessions are free of charge however we will be asking participants if they would be willing to provide some anonymous information about the Personal Assistants they employ. This will help Skills for Care in developing opportunities for people who work in social care in the future. We will be letting participants know more about what information Skills for Care need and how the information will be used during the sessions.